Dear ladies – colleagues, partners, and clients! 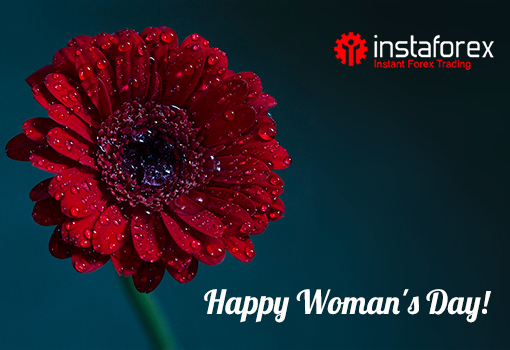 InstaForex team congratulates you on International Women’s Day! Like tender spring flowers, may you bloom with joy and happiness. May all your life be spiced with smiles. This glorious day is a nice occasion for all men to admire and cheer women of all ages who play a vital role in the modern society. We wish you sound health, everlasting well-being, peaceful and cozy home, jolly mood, sincere love, and care of your nearest and dearest. May this spring bring you welcome changes. Enjoy the wonderful spring holiday which is sure to give you inspiration, energy, and optimism. Happy Women’s Day! The results of the two InstaForex contests are summed up and the winners are determined. Today, we will declare the winners of the InstaForex Sniper and One Million Option contests. We are pleased to congratulate the most successful traders, and wish other participants to find their names in the next contest digests. Fortune favors the keenest, fastest, and most patient traders in the InstaForex Sniper contest. According to the results of the last stage, Pyotr V. Kruglikov outpaced his rivals and became the winner. We congratulate the prize owner and wish him to keep it that way. We invite other traders to test their marksmanship. So, register and join us! The next stage of the InstaForex Sniper contest will be held from March 11, 2019 to March 15, 2019. 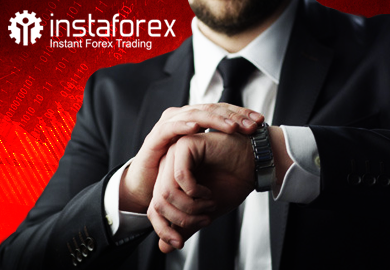 One Million Option from InstaForex is the most popular contest among traders. Every round bold participants compete for the title of the best option trader in the hot struggle. Following the results of the recent stage, the best score was achieved by Alexander Mikhalev from Belarus. Let’s cheer the winner! So, we remind you that the next stage of One Million Option will start very soon – on March 11, 2019 and come to an end on March 15, 2019. Please note that starting from March 1, 2019, MetaTrader 4 desktop platforms older than build 1118 and MetaTrader 4 Android platforms older than build 1104 are not supported and therefore are not connected to trading servers. Kindly update your trading platforms to the latest versions. Four more interim stages of InstaForex contests are over. Results are summed up, winners are determined! Today we have four champions in the following InstaForex contests: One Million Option, Lucky Trader, FX-1 Rally, and Real Scalping. We are happy to congratulate our winners and wish luck to all the other contestants with even greater joy! Venturous participants battle to be called the best option trader at each stage of well-loved and popular InstaForex contest One Million Option. Today AndriPurnomo, a trader from Indonesia, scored a triumph in the contest. We applause the hero! We remind you that the next stage of One Million Option contest will be held from March 4, 2019 until March 8, 2019. Strong will, success orientation, fortitude, and patience are the keys to win in Lucky Trader contest. Perhaps, you can do better than Andrey Nikolaevich Popenko from Belorussia did. Nevertheless, it was him who showed brilliant results in the interim stage of Lucky Trader contest. Today he is in the spotlight! Come on and take your chance to triumph! The next stage of the contest will take place from March 4, 2019 until March 15, 2019. Oleg Sergeevich Nedin from Ukraine was simply the best in the interim stage of FX-1 Rally contest. We salute the champion and wish him to prove this title in the upcoming stages of FX-1 Rally. If you are ready for an intense clash and challenges of the race for leadership – you are welcome to the start of the next stage of the FX-1 Rally contest. You can register and join the upcoming race that will be held from 00:00 on March 1, 2019 to 23:59 on March 1, 2019. Real Scalping contest requires sharp reaction, adequate curiosity, and desire to learn. Experience teaches slowly and at the cost of mistakes. Therefore, a trader needs to excel the skills constantly. Today Sergey Mikhailovich Molozhon from Ukraine was number one in it. Congratulations! Keep it this way! We invite all the traders to use this opportunity to fight and win in the next stage of the contest that will take place from March 4, 2019 until March 29, 2019. 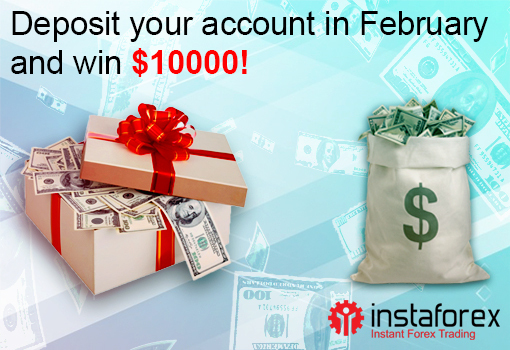 We raffle off $10,000 in February at a new stage of the Chancy Deposit campaign. 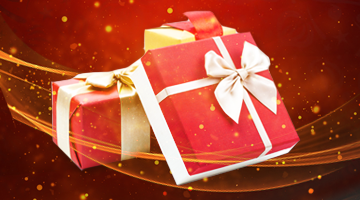 There is a good reason to increase the bonus size – the Lunar New Year! 1. Log in to Client Cabinet and top up your trading account. 2. You automatically become a contender for the main prize. At the end of the month, a winner’s trading account will be picked at random. Everyone has a fair chance to win $10,000. The prize draw is held on a monthly basis. Follow our company news, and luck will be eventually on your side.